Bangladesh is experiencing the adverse effects of climate change, including sea level rise in coastal areas, increasing severity of tropical cyclones and extreme rainfall events. Recognizing that climate impacts are undercutting hard won human development gains, Bangladesh has already taken strides on adaptation planning over the last decade, by implementing the National Adaptation Plan of Action (NAPA), setting-up climate change trust funds, and pioneering community based adaptation approaches. However, institutional arrangements and a coordinated strategy for mid- and long-term climate change adaptation investment are not yet in place. 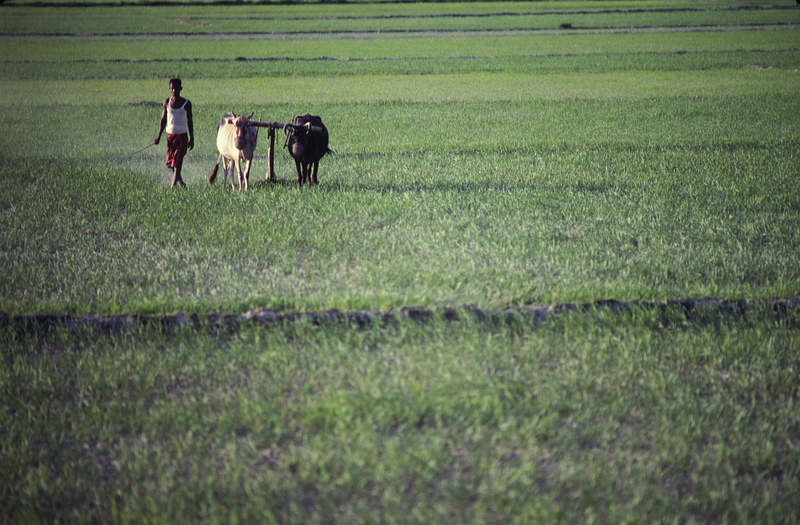 The objective of this Green Climate Fund (GCF) financed project is to formulate the Bangladesh National Adaptation Plan (NAP) with a focus on long term adaptation investment and enhancing national capacity for integration of climate change adaptation in planning, budgeting and financial tracking processes. The Ministry of Environment and Forests, Ministry of Finance, Ministry of Planning and key personnel working on climate change adaptation relevant programming in water resources, agriculture and food security, coastal zones, and urban habitation (the “priority sectors”) will be the beneficiaries of this project. The Ministry of Environment and Forests, Ministry of Finance, Ministry of Planning and key personnel working on Climate Change Adaptation relevant programming in water resources, agriculture and food security, coastal zones, and urban habitation (the “priority sectors”) will be the beneficiaries of this project. The project is designed to support the Government of Bangladesh to meet the objective of formulating the Bangladesh National Adaptation Plan with a focus on long-term adaptation investment and enhancing national capacity for integration of climate change adaptation in planning, budgeting and financial tracking processes. Bangladesh’s location, climate, and development trajectory make it a country especially vulnerable to the effects of climate change. Bangladesh lies on the Bay of Bengal in the delta floodplain of the Brahmaputra and Ganges rivers flowing from the Himalayas. Consequently, the terrain is predominately low-lying and flat, and the country has only a few mountainous regions. The delta environment hosts a coastline that is dynamic and subject to coastal erosion, land subsidence, and sediment deposits, despite being home to the Sundarbans, the largest natural mangrove forest in the world. Bangladesh is a least-developed country (LDC), and in terms of the Human Development Index ranks 139th out of 188 countries (2016). The country has a population of 162,951,560 (2016), of which around 70% live in rural areas. However, there is a high rate of urbanization, with a 3.2% increase in urban populations each year. The poverty ratio has fallen from 49% in 2000 to 31.5% in 2010, but over 70% of the employed population remains below a US $1.90/day purchasing power threshold. Agriculture accounts for around 14% of GDP, but employs approximately 40% of the workforce. Industry, in particular manufacturing, accounts for 29% of GDP, while services, including transport and construction services, account for 56% of GDP. Bangladesh is often considered one of the one of the most vulnerable nations to extreme weather events, climate variability, and change (Global Climate Risk Index; Climate Change Vulnerability Index). Bangladesh’s climate is tropical, characterized by a summer monsoon and a winter dry season. However, future scenarios show increases in temperatures and precipitation in Bangladesh. An estimated temperature rise of 1.6°C and an increase of precipitation of 8% are expected by 2050. The country´s location in the Bay of Bengal makes it susceptible to seasonal cyclones, while being a major floodplain increases the risks related to seasonal flooding. For example, floods in 2007 inundated 32,000 sq. km, leading to over 85,000 houses being destroyed and almost 1 million damaged, with approximately 1.2 million acres of crops destroyed or partially damaged, 649 deaths and estimated damages over $1 billion. 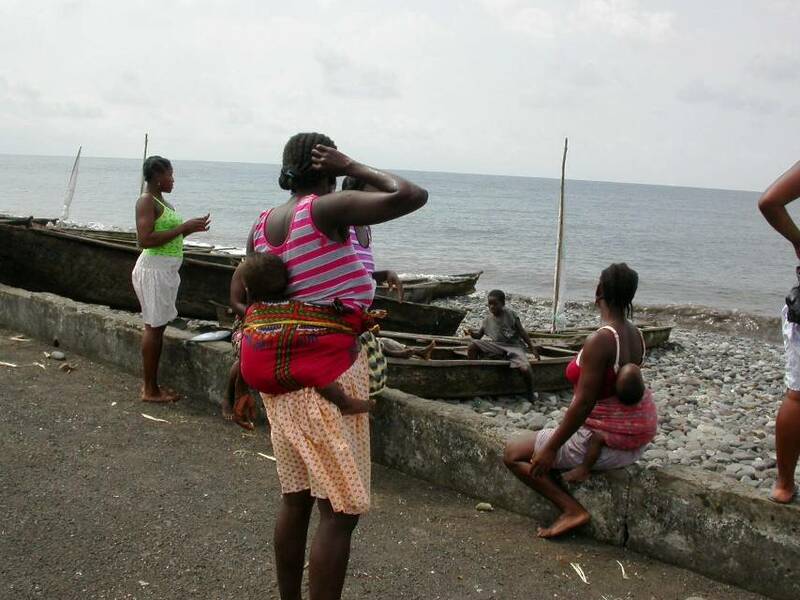 Despite development progress and decline in poverty, the increased impacts of storms, sea level rise, and drought due to climate change threaten to reverse the gains in social and economic growth and have implications for the lives and livelihoods of poor women and men across the country. Bangladesh is already experiencing a host of climate impacts. In particular, sea level rise is already observed along the coast. With future climate change, damaging floods, tropical cyclones, storm surges and droughts are likely to become more frequent and severe. And, the low-lying coastal land is particularly vulnerable to future sea level rise. Bangladesh has already developed a National Adaptation Plan Roadmap. It highlights a range of priority sectors where the impacts of climate change are anticipated to be very high. These include (a) water resources, (b) agriculture (including sub-sectors such as crops, forestry, fisheries, and livestock), (c) communication and transportation, (d) physical infrastructure (including education infrastructure), (e) food and health security, (f) disaster risk reduction (g) people’s livelihoods, (h) urban habitation and built environment (including water supply, sanitation and hygiene) and (i) education. Recognizing the threat to national development, Bangladesh has developed policy and institutional frameworks supporting CCA planning and investments. In 2005, Bangladesh was one of the first two LDCs to submit its National Adaptation Programme of Action (NAPA). The NAPA identified and prioritized adaptation projects for immediate and urgent implementation. It was updated in 2009, and additional projects were added. A corresponding Bangladesh Climate Change Strategy and Action Plan (BCCSAP) was approved in 2009 and runs until 2018. The BCCSAP articulates the national vision for pro-poor, climate resilient, and low-carbon development in alignment with both the GOB’s Vision 2021 and Five Year Plan national planning documents. The BCCSAP sets forward 6 pillars for climate change adaptation and mitigation, while identifying 44 priority programmes. Climate change adaptation (CCA) is included in the Seventh Five Year Plan (2016-2020) and the priorities reflect mostly urgent and immediate needs as gauged by ongoing adaptation planning activities. Under the related Annual Development Plans (ADP), climate change screening tools have been integrated into development project proposals. In addition, CCA has been integrated to a limited degree in key sectoral policies, such as water and agriculture. The ministry of Planning has also appointed a senior government secretary as the SDG Coordinator, and prepared a Sustainable Development Goals tracking matrix as a tool for various ministries to coordinate, track and guide various ministries in implementation of SDGs. The Nationally Determined Contribution of Bangladesh (NDC -2015) identifies an adaptation goal to “protect the population, enhance their adaptive capacity and livelihood options, and to protect the overall development of the country in its stride for economic progress and wellbeing for the people”. Also present in the NDC is a list of on-going adaptation actions, climate funds, and an estimate of adaptation costs. Based on estimates by the World Bank (2010), the costs of adapting to tropical cyclones, storm surges and inland flooding by 2050 alone in Bangladesh could amount to US$8.2 billion, in addition to recurring annual costs of US$160 million. There are several related initiatives to advance GCF Readiness related work in Bangladesh. The GCF country work program is being developed with the support of GIZ Climate Finance Readiness’ Programme and Green Climate Fund Readiness Support with the NDA Secretariat, ERD and the Finance Division, Ministry of Finance. UNDP is also supporting NDA under readiness programme 2 for the preparation of country programmes. GIZ is planning a NAP/NDC Support programme to commence in 2018 with more focus on operationalization and implementation of NDC. UNDP has supported the Ministry of Environment with the development of the NAP Roadmap with the contribution of the Government of Norway. It is also supporting the Finance Division under the Ministry of Finance with integration of climate change into budgeting as well as the development of a climate change fiscal framework. The Government of Bangladesh is also engaged in applying to the GEF LDCF for complementary funding for NAPs. In January 2015, the GOB with the support of the government of Norway and UNDP, developed the “Roadmap for Developing a National Adaptation Plan for Bangladesh”. The GOB decided to develop this NAP Roadmap as a first step towards developing a full Bangladesh National Adaptation Plan, to contextualize the key components that require elaboration - thematic areas and sectors have been prioritized and include: Water resources, Agriculture (including sub-sectors), Communications, Physical infrastructure, Food and health security, Disaster risk reduction, Livelihoods and Urban habitation. The NAP Roadmap has customised the steps of the LDC Expert Group guidelines in the context of the needs of Bangladesh and has also prepared a methodological approach based on Bangladesh realities. This was a useful and essential exercise with activities and results defined for Bangladesh to kick-start the complex NAP process. The gap that remains, however, is to operationalise the next steps in the Roadmap and develop the National Adaptation Plan. This proposal for readiness support to prepare the Bangladesh NAP responds to this gap in line with the technical guidance set out in the Roadmap by proposing to advance the NAP process in a transparent and participatory manner. In March 2017 a two-week stocktaking for national adaptation planning (SNAP) process was conducted by GIZ in collaboration with UNDP and MoEF, during which national experts were interviewed and asked to assess current and future national adaptation planning capacities based on several success factors. This is another useful input to the operationalisation of the NAP Road Map as it provided a mapping of different initiatives that are relevant to operationalising the NAP. The results of the SNAP process were presented at the National Stakeholder Workshop and the participants participated in a joint review of results. The workshop resulted in a report titled “Stocktaking for Bangladesh’s National Adaptation Process: Achievements, Gaps, and Way Forward” that details the inputs as well as the SNAP process (March 30, 2017). This report will be a resource for NAP formulation moving forward. Subsequently UNDP and GIZ have met several times during preparation of this GCF NAP proposal and inputs and suggestions from GIZ are included. Outcome 1: Strengthened institutional coordination and climate change information and knowledge management for medium- to long-term planning. Build expanded information and knowledge base with focus on detailed CC risks and vulnerability and interpretation of CCA planning scenarios for the mid- and long-term. Outcome 2: Adaptation options appraised and prioritized and National Adaptation Plan formulated. Outcome 3: Climate risk informed decision making tools developed and piloted by planning and budget departments at national and sectoral levels. Outcome 4: Nationally appropriate adaptation investments tracking mechanism set up and financial plan for mid- and long-term CCA implementation prepared. The project results will be monitored and reported annually and evaluated periodically during project implementation to ensure the project effectively achieves its aims. Project-level monitoring and evaluation will be undertaken in compliance with UNDP requirements as outlined in the UNDP POPP and UNDP Evaluation Policy. The UNDP Country Office will work with the relevant project stakeholders to ensure UNDP M&E requirements are met in a timely fashion and to high quality standards. Additional mandatory GCF-specific M&E requirements will be undertaken in accordance with relevant GCF policies. The project will be audited according to UNDP Financial Regulations and Rules and applicable audit policies on DIM implemented projects. Additional audits may be undertaken at the request of the GCF. The following reports will be made available: an initial project Inception Workshop Report; Annual Project Reports; an Independent Mid-term Review (MTR) and an independent Terminal Evaluation (TE) upon completion of all major project outputs and activities. The project’s final Annual Project Report along with the terminal evaluation (TE) report and corresponding management response will serve as the final project report package, including a reflection on lessons learned and opportunities for scaling up. Bangladesh has a strong tradition of medium term planning through the periodic Five Year Plans, of which we are now in the 7th Plan. At the same time, the country has a large number of professional planners both within the Planning Commission as well as embedded within the Planning Department of every ministry who help develop the sectoral plans for each ministry. This is a strong foundation of human skill and capacity based on which the country can now move towards making longer term plans for different sectors as well as for the country as a whole. There are already a number of sectoral and national plans being developed for longer time scales. These include the seventeen Sustainable Development Goals (SDGs) and the Climate Change goals which all have a time horizon to 2030. Very recently, the government has also approved the development of the Delta Plan which will have a time horizon until 2100. Only the Netherlands (with whose assistance Bangladesh is developing it) has done a plan for such a long time horizon so it will be quite a daunting task for us. At this time horizon, it is likely to be more of an aspirational goal rather than a detailed plan. Finally, we are expecting the prime minister to soon unveil her Vision 2041 for Bangladesh which will be more of a vision for the country than a specific plan. Under the above circumstances, the country will need to modify the standard processes for the Five Year Plans by the Planning Commission in order to think about the longer-term vision and to involve not only all the different parts of the government but also other stakeholders from outside the government. In other words, it will not only have to take a whole-of-government approach but also a whole-of-society approach. The government is well aware of this need and has already put in place a special unit in the Prime Minister's Office (PMO) to monitor the implementation of the SDGs under the leadership of very senior people. They have already started ensuring that each ministry develops its own SDG-related targets and ways of monitoring them. Civil society actors and academics have also set up groups around each of the SDGs for implementation and monitoring progress. In the realm of climate change, the government has already developed the Nationally Determined Contributions (NDC) as required under the Paris Agreement on Climate Change and will be preparing the National Adaptation Plan (NAP) soon. The objective of this project is to formulate the Bangladesh National Adaptation Plan with a focus on long term adaptation investment and enhancing national capacity for integration of climate change adaptation in planning, budgeting and financial tracking processes. A national stakeholders workshop on NAP readiness was held on March 7, 2017 to provide input to the proposal for this project. This stakeholders workshop was co-facilitated by MoEF, UNDP, and GIZ and included 70 attendees from many GOB ministries (including MoEF, the Planning Commission, Ministry of Water Resources, Ministry of Agriculture, Ministry of Women and Children Affairs, Ministry of Social Welfare), as well as representatives from other UN agencies, donors, civil society organization, and NGOs operating in Bangladesh. In addition, private development companies and university representatives were present and provided inputs. The "Upscaling Community-Based Adaptation in Ethiopia" project will work to empower communities to plan and implement adaptation interventions in a deliberate and proactive manner, reducing reliance on the Government of Ethiopia to provide already scarce resources for climate change adaptation. The five-year project will benefit from a US$8.8 million grant from the Global Environment Facility Least Developed Country Fund. The project builds on the successes of the Promoting Autonomous Adaptation at the Community Level in Ethiopia Project. Building community self-reliance will enable project participants to tailor adaptation tools and technologies to specific needs. At the local level, new technologies – or traditional technologies used in new ways – will be promoted to ensure that productivity and sustainability of livelihoods are maintained under a range of future climate change scenarios. These adaptation actions and associated technologies or practices will build on the natural resilience and innovativeness of Ethiopian communities to build their self-reliance and capacity to continue the adaptive process iteratively. More specifically, an effective adaptation solution for vulnerable communities involves the availability of seasonal forecasts and assistance in interpretation of forecasts for implementation in their respective livelihood measures. Through forecasts and climate information services, individuals are able to make informed decisions and take advanced adaptive actions for the coming season. Woreda and urban communities need to be trained in the use of climate information as well as mobilized to plan and implement the most effective adaptation measures. Such adaptation strategies as climate-smart conservation agriculture, integrated and diversified farming systems, improved management of rangelands and other ecosystems, urban diversification of livelihood options are all in combination critical elements for a long-term adaptation solution designed for the unique risks and vulnerabilities of Ethiopia. The changes in Ethiopia’s climate are anticipated to result in a number of negative impacts on vulnerable communities, including droughts and floods. The impacts of past droughts and climatic changes have been particularly detrimental to Ethiopia’s agricultural sector. For example, seven major droughts have occurred over the past 25 years, five of which have resulted in famine. Furthermore, since 1988 Ethiopia has experienced six major floods. The number of flooding events and associated damages increased between 1996 and 2006. At present, Ethiopia is experiencing one of the most severe droughts of the last 30 years brought on by El Niño events in 2015. The drought is impacting on the livelihoods of 10 million people, namely through food insecurity where the population has become reliant on humanitarian support through food aid. This has left 2.7 million people with malnutrition and 2.1 million without access to safe drinking water. In addition, the drought is causing losses to livestock and decreased agricultural production owing to crop failure. Climate change is affecting sustainable development in Ethiopia. With a large part of the nation's agricultural production relying on rain-fed farming, the livelihoods of the majority of the population are sensitive to climate-related shocks, including drought and flooding. Climate change is likely exacerbate the impacts of degradation of the country’s environmental resources – including arable land, water, pasture and forest – with connected impacts on Ethiopia’s food and water securities. Consequently, Ethiopian communities in both rural and urban settings will be impacted by this predicted climate change variability. Currently, 8.2 million people are already considered “chronically” food insecure in Ethiopia, with 6.7 million people facing food insecurity. Both categories are characterised by a weak resilience to withstand climate-related shocks, such as severe droughts. Addressing climate change is of critical importance in Ethiopia as the economy remains reliant on: i) climate-sensitive agriculture and natural resources management; ii) rainfall; and iii) natural resource dependent energy – biomass and hydropower. Recent assessments have estimated that economic growth could decrease by up to 2.5% per year unless capacity building and climate change adaptation measures are implemented. Further to this, climate change is expected to further impact Ethiopia’s income inequality, affecting both rural and urban communities. The long‑term preferred solution is for adaptation to be an integral part of Ethiopian livelihoods, specifically among vulnerable communities. The proposed project will empower communities to plan and implement adaptation interventions in a deliberate and proactive manner, reducing reliance on the Government of Ethiopia to provide already scarce resources for climate change adaptation. Building community self-reliance will enable them to tailor adaptation tools and technologies to their specific needs. At the local level, new technologies – or traditional technologies used in new ways – will be promoted to ensure that productivity and sustainability of livelihoods are maintained under a range of future climate change scenarios. These adaptation actions and associated technologies or practices will build on the natural resilience and innovativeness of Ethiopian communities to build their self-reliance and capacity to continue the adaptive process iteratively. Output 1.1. Training provided on tools and methodologies for gender-sensitive climate vulnerability and risk assessments and gender-responsive adaptation planning at the kebele, woreda and city levels. Output 1.2. Integrated climate change adaptation/disaster risk reduction plans – with gender action plans – developed at the regional, city and local levels for key sectors. Output 2.1. Training-of-trainers undertaken for decision‑makers and technical staff in targeted woredas and cities on implementation of gender-sensitive adaptation technologies tailored to local socio-economic and environmental contexts, including using climate data and forecasts to inform adaptation interventions at the community level. Output 2.2. Targeted training to farmers in selected woredas on climate-smart agricultural practices, including the use of seasonal forecasts and climate advisories in their farming decisions. Output 2.4. Localised weather and climate advisories disseminated to provide real time agro-meteorological information to farmers, pastoralists and local decision‑makers. Output 2.5. Adaptation technologies and climate-smart agricultural practices introduced and scaled in targeted woredas and cities. Output 3.1. Woreda learning centres established to share lessons learned and best practices outside of targeted communities. Output 3.2. Cost-benefit analyses of the field-demonstrated adaptation measures to inform strategies and action plans. Output 3.3. Knowledge-sharing mechanisms developed to ensure that best practices and knowledge generated through this and other initiatives is documented for replication and upscaling. Output 3.4. 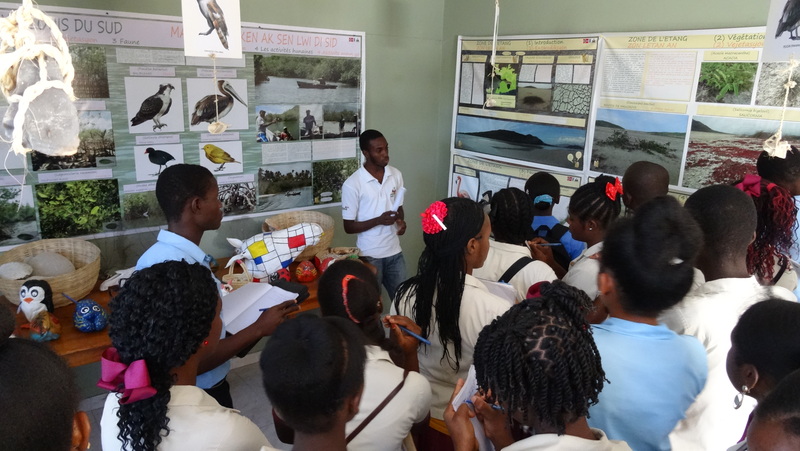 Awareness-raising campaigns undertaken on climate risks and adaptation options for government staff and local communities. Output 3.5. Monitoring and evaluation conducted. 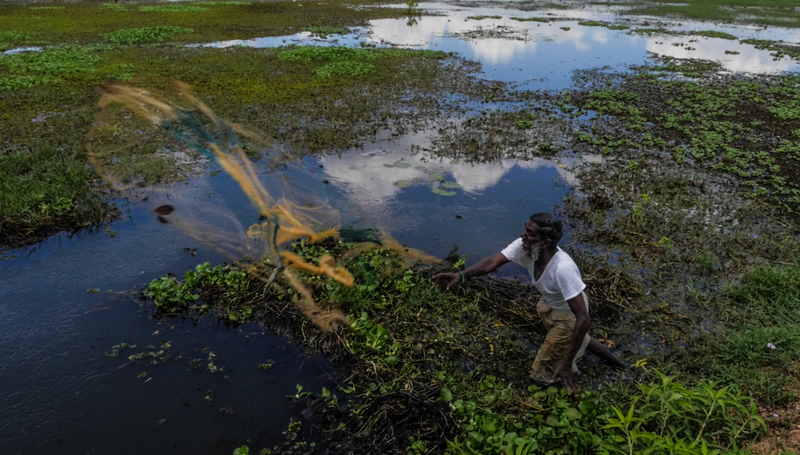 In an effort to connect stakeholders with new data on climate change adaptation actions in Africa and Asia, UNDP is partnering with various sectors of academia, civil society and the private sector to share and analyze datasets gathered through UNDP-supported initiatives across the globe. These datasets will be made available upon request, as a new sharing platform is being developed. This new initiative is in its nascent stage. Working with academics from leading institutions such as Harvard and Yale, along with partner governments, civil society, think tanks and private-sector partners, UNDP is building a proof of concept and working model to share data and improve analysis. The overall goal is simple: evidence-based decision-making has the potential to significantly improve the impact of global investments in climate actions. To learn more about the data available and the coalition that is currently forming, please sign up below. Current datasets are available from Africa and Asia. These datasets were collected through UNDP-supported initiatives on the Economics of Climate Change Adaptation in Asia (ECCA) and Climate Information and Early Warning Systems Projects in Africa. Household surveys were conducted in various countries and will be made available for download and analysis. Future datasets will also be shared with this coalition. Past experience on climate change, communications and adaptation response. Interviewees were asked about their perception about climate change and current sources of weather information. Detailed farming area information. The survey collected information on farm planting area, fallow land area, and the division of the plots by crops and other livelihood by the household. Household information. Detailed information on household members, gender and basic infrastructure availability. Data were also collected on the primary and secondary occupation of the head of the households. Data required to calculate the farmer’s net revenue based on ongoing agriculture practices (crop and livestock). Data were collected on labour available to the household, type of crops grown including by growing season, prices as well as input costs including cost and quantity of fertilizer, irrigation, and machinery. Similar information was collected for livestock farmers. Global Positioning System (GPS) locations. Location is important when analysing climate impacts so information on the latitude and longitude of farms was collected. Information on extension services. Detailed information was provided by private extension groups, non-governmental organizations (NGOs), central government agencies, cooperatives and local government to be able to elicit potential policy tools available to support adaptation. In Africa datasets on climate information and early warnings were gathered from 2000 household surveys. The data were collected between 2015 and 2016 by a national team. Datasets are currently being cleaned, and will be available from Burkina Faso, Liberia, São Tomé and Príncipe, Sierra Leone, Tanzania, Uganda and Zambia. Hazard identification by community and household. This section provided information on the different hazards prioritized by communities. This will feed into the EWS system to help target/provide information that will be useful for project delivery. Past experience on EWS, climate change, communications and responses. This section gathered data that that can be used to evaluate the current EWS system in the countries. Information to estimate outcomes of interest – components of farmer (crop and livestock) and fishers revenue, cost and profit: depending on the kind of agent. This section provides data on labor available to the household, type of crops grown if a farmer, the growing season to differentiate different crops and value of EWS information, fertilizer use to estimate costs and inputs, irrigation use and cost, machinery, and similar information for livestock farmers. GPS locations for geo-spatial information and analysis. Spatial variation is a valuable instrument to help with identification of control and treated groups. A total of 360 farm households were interviewed for this study drawn from 7 provinces. Of the sampled households, 87% practised irrigated agriculture while 13% relied on non-irrigated (rainfed) agriculture. Interviewed farmers on average own 7.10 acres of land in total, with those practicing rainfed farming owning larger parcels (average 8.99 acres) relative to those practicing irrigated farming (average 6.81 acres). The data collection was conducted in Brantas River Basin in East Java district as agriculture center in Indonesia, particularly in villages in Batu City (> 100 m above sea level) and Mojokerto District (< 45 m above sea level). In each location, 100 farm households were interviewed based on purposive sampling by using size of farmland as selection criteria. The households in the survey reported having about 27 years of farming experience ranging from 1 to 70 years. The average household size is 4, ranging from 1 to 13. The heads of household have an average of 9 years of education with access to electricity by almost all the households. In terms of access to information and telecommunication technology, the majority (68%) of the respondents have a telephone, although only 32% have a computer and 20% have access to the Internet. Three hundred and twenty-one households were interviewed spanning the agro-ecological zones of the country. About 40% of the sample is from the Central Province of the country while the rest are distributed across the other provinces including the North west and Uva provinces that are about 14% of the sample. The majority of the households in the survey reported having about 20 years of farming experience, with a minimum of four years and a maximum of 60 years. On average, each household consisted of five people (minimum four, max 16) with 10 years of education. The majority (88 percent) of the respondents owned a telephone, while 33 percent had a computer, 18 percent of which had access to the Internet. 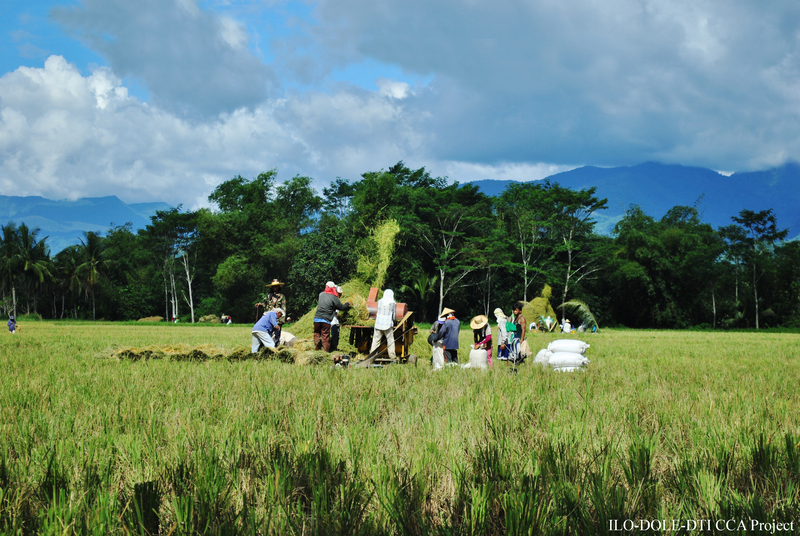 A total of 395 farm households were interviewed, drawn from 18 provinces. Of the sampled households, 58% practised irrigated agriculture while 42% relied on non-irrigated (rainfed) agriculture. Interviewed farmers on average own 15.18 acres of land in total, with those practicing irrigated farming owning larger parcels (average 18.89 acres) relative to those practicing rainfed farming (average 10.26 acres). 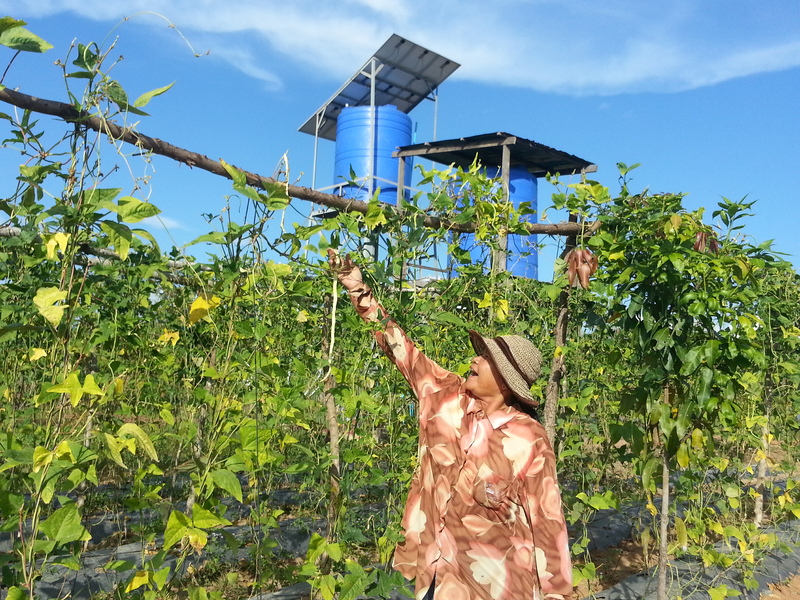 Survey locations were selected to cover each of the ago-ecological zones present across Viet Nam in the context of agriculture production. 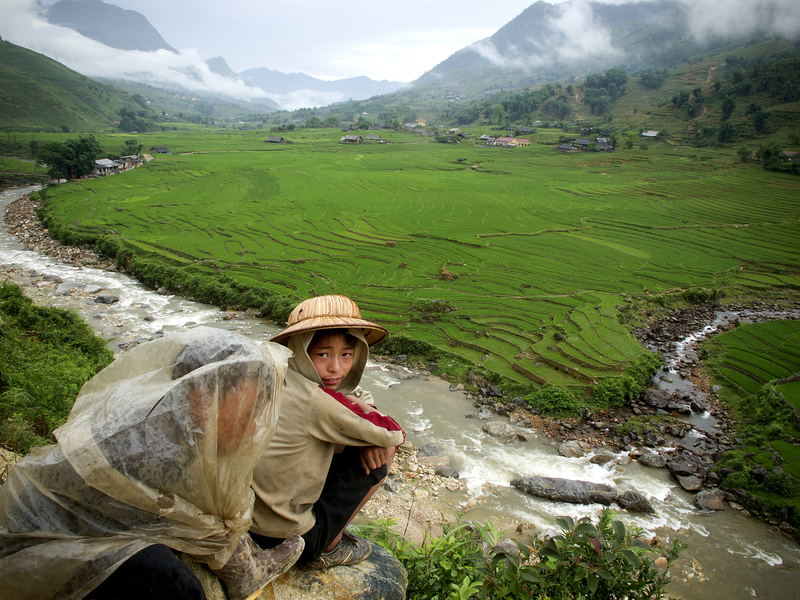 In each location, the Viet Nam country team surveyed 18 households, with a total of 342 surveyed households. Out of the 342 surveyed households, the team obtained 323 usable questionnaires, of which 306 cover households with cultivation activities. The households in the survey have about 27 years of farming experience ranging from one year to 60 years. The average household size is 4, ranging from 1 to 13. The heads of household have an average of 7.5 years of education with access to electricity by almost all the households. In terms of access to information and telecommunication technology, the majority (96 per cent) of the respondents have a telephone, although only 20 per cent have a computer and 15 per cent have access to the Internet. On average, the respondents owned 7.4 acres of land (2.96 ha) with the majority of planted crops in two seasons, while a few planted all the three seasons. The average annual planted area across the three seasons is 5.5 acres (Figure 11), with 2 acres left fallow, on average. A third of the farmers have less than 2 acres of planted area, while nearly 15 per cent of farmers planted more than 10 acres. Countries Conducting Survey: Bangladesh, Cambodia, Indonesia, Mongolia, Nepal, Sri Lanka, Thailand and Vietnam. In Northern Pakistan, the melting of the Hindu Kush, Karakoram, and Himalayan glaciers due to rising temperatures have created 3,044 glacial lakes in the federally-administered territory of Gilgit-Baltistan and province of Khyber Pakhtunkhwa. It is estimated that 33 of these glacial lakes are hazardous and likely to result in glacial lake outburst floods. Such flooding can release millions of cubic metres of water and debris in just a few hours, resulting in the loss of lives, destruction of property and infrastructure, and severe damage to livelihoods in some of the most remote areas of Pakistan. Over 7 million people in Gilgit-Baltistan and Khyber Pakhtunkhwa are threatened. Early warning systems, engineering structures and disaster management policies will reduce risk, protecting local communities and providing early warning of devastating flood events. The project Scaling-up of Glacial Lake Outburst Flood (GLOF) risk reduction in Northern Pakistan (2017 - 2021) will build 250 engineering structures including damns, ponds, spill ways, tree plantation and drainage to reduce risk. At the same time, the development of disaster management policies and the introduction of weather monitoring stations, flood gauges, hydrological modelling and early warning systems will increase the ability to respond rapidly to flood scenarios. The melting of the Hindu Kush, Karakoram, and Himalayan glaciers in Northern Pakistan due to rising temperatures has created 3,044 glacial lakes in the federally-administered territory of Gilgit-Baltistan (GB) and the province of Khyber Pakhtunkhwa (KP). It is estimated that 33 of these glacial lakes are hazardous and likely to result in glacial lake outburst floods (GLOFs). Such outbursts have occurred in the past and when they do, millions of cubic metres of water and debris is released in a few hours, resulting in the loss of lives, destruction of property and infrastructure, and severe damage to livelihoods in some of the most remote areas of Pakistan. Currently 7,101,000 people remain at risk in GB and KP. Most recently, in July 2015, over 280,000 people in GB and KP were affected, a combination of heavy rains and GLOFs. At present, the country faces a critical gap in technical and technological capacity to monitor the status of glaciers through hydrological monitoring and forecasting. Current early warning systems (EWS) do not have the capacity to support the management of risks posed by rising water levels in the lakes, including failure to issue early warnings to communities. The design and implementation of medium- and long-term disaster management policies and risk reduction and preparedness plans are also not fully geared to deal with the specifics of GLOF threats. The Government of Pakistan has recognized the threat from GLOFs in its National Climate Change Policy and in its National Determined Contribution to monitor changes in glacier volumes and related GLOFs. The Government of Pakistan is seeking GCF resources to upscale ongoing initiatives on early warning systems and small, locally-sourced infrastructure to protect communities from GLOF risks. The interventions proposed for scale up by this project will be based on activities implemented in two districts on a trial basis that have proven to be impactful. In particular, engineering structures (i.e. gabion walls) have been constructed; automatic weather stations, rain gauge and discharge equipment were installed to support rural communities to avoid human and material losses from GLOF events. The proposed GCF project will expand coverage to twelve districts in the Khyber Pakhtunkhwa and Gilgit-Baltistan provinces. The proposed project will strengthen the technical capacity of sub-national decision makers to integrate climate change and disaster risk management into medium- and long-term development planning processes. This output responds to the need for systematic integration of GLOF risk management into the processes, policies and plans of institutions that have a stake in avoiding human and material losses from GLOF events in vulnerable areas in the Departments of Khyber Pakhtunkhwa (KP) and Gilgit-Baltistan (GB). GCF resources will be used to strengthen the capabilities of local level institutions (Disaster Risk Management, Agriculture, Livestock and Water sector in the Departments of GB and KP and federal level institutions (Ministry of Kashmir Affairs, Ministry of Environment and National Disaster Management Authority) to incorporate climate change adaptation considerations into development plans in GB and KP. The incorporation of climate change adaptation measures into the planning instruments will also be based on progress made at the national level under NCCP and by other regions in including climate change measures in sectoral, territorial, and environmental planning instruments. More specifically, the project will make use of the lessons learned from the recently completed UNDP/Adaptation Fund supported project: “Reducing Risks and Vulnerabilities from Glacier Lake Outburst Floods in Northern Pakistan”. In addition, GCF resources will be used to promote the inclusion of information generated from early warning systems and hydrological modeling (Output 2) to generate flood scenarios that then can better inform local development plans and, by extension, budgeting. A key result that GCF resources will finance focuses on the scaling up of interventions that have been tested with other financing to increase adaptive capacity of communities in target valleys. GCF resources will expand the climate information surveillance and discharge measuring network in the region. GCF resources will be used to procure and install 50 automatic weather stations (AWS) and 408 river discharge gauges/sensors. These monitoring instruments will provide the requisite data to conduct hydrological modeling to generate flood risk scenarios that will feed into a flood early warning system to enable the dissemination of flashflood warning signals on a 24-hour basis generated by PMD through cellphones. AWS and river discharge sensors will provide information to capacitate village hazard watch groups that will be part of a local-level early warning system. 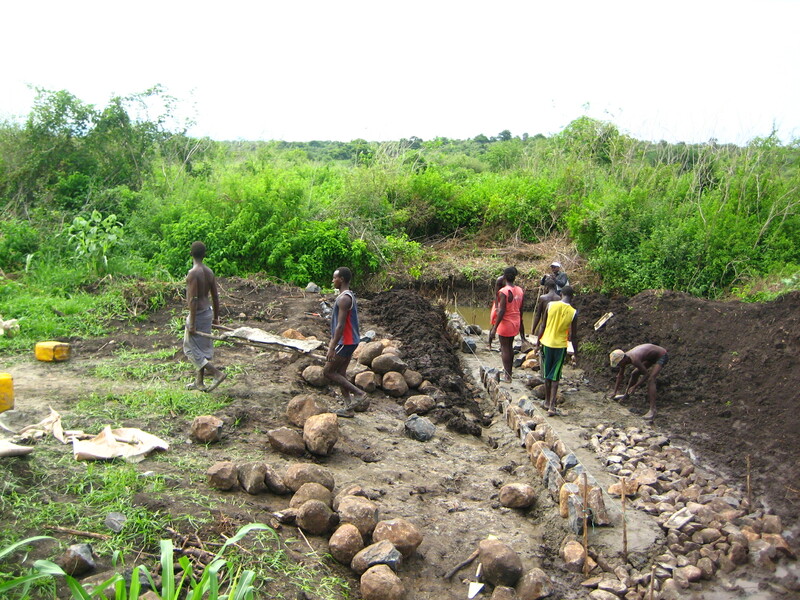 Small-scale hard adaptation structures will be constructed (gabion walls, spillways, check dams) to protect human lives and household’s assets in combination with bioengineering interventions to stabilize slopes slides, reducing the risk of debris slides. In Pakistan EIAs are not required for smaller infrastructure projects. The protective capability of these structures will be amplified by additional resources channeled to the communities ex ante and following a GLOF event through the scale up of already established, revolving community-based disaster risk management fund. In addition, ecosystem-based adaptation interventions will be promoted in order to increase resilience against GLOFs events while supporting livelihoods. Project-level monitoring and evaluation will be undertaken in compliance with the UNDP POPP and the UNDP Evaluation Policy. UNDP will perform monitoring and reporting throughout the Reporting Period in accordance with the AMA. UNDP has country presence and capacity to perform such functions. In the event of any additional post-implementation obligations over and above the AMA, UNDP will discuss and agree these with the GCF Secretariat in the final year of the implementation period. The primary responsibility for day-to-day project monitoring and implementation rests with the Project Manager. The Project Manager will develop annual work plans to ensure the efficient implementation of the project. The Project Manager will inform the Project Board and the UNDP Country Office of any delays or difficulties during implementation, including the implementation of the M&E plan, so that the appropriate support and corrective measures can be adopted. The Project Manager will also ensure that all project staff maintain a high level of transparency, responsibility and accountability in monitoring and reporting project results. The UNDP Country Office will support the Project Manager as needed, including through annual supervision missions. The UNDP Country Office is responsible for complying with UNDP project-level M&E requirements as outlined in the UNDP POPP. Additional M&E and implementation quality assurance and troubleshooting support will be provided by the UNDP Regional Technical Advisor as needed. The project target groups and stakeholders including the NDA Focal Point will be involved as much as possible in project-level M&E. A project inception workshop will be held after the UNDP project document has been signed by all relevant parties to: a) re-orient project stakeholders to the project strategy and discuss any changes in the overall context that influence project implementation; b) discuss the roles and responsibilities of the project team, including reporting and communication lines and conflict resolution mechanisms; c) review the results framework and discuss reporting, monitoring and evaluation roles and responsibilities and finalize the M&E plan; d) review financial reporting procedures and mandatory requirements, and agree on the arrangements for the annual audit; e) plan and schedule Project Board meetings and finalize the first year annual work plan. The Project Manager will prepare the inception report no later than one month after the inception workshop. The final inception report will be cleared by the UNDP Country Office and the UNDP Regional Technical Adviser, and will be approved by the Project Board. The Project Manager, the UNDP Country Office, and the UNDP Regional Technical Advisor will provide objective input to the annual Project Implementation Report (PIR) for each year of project implementation. The Project Manager will ensure that the indicators included in the project results framework are monitored annually well in advance of the PIR submission deadline and will objectively report progress in the Development Objective tab of the PIR. The annual PIR will be shared with the project board and other stakeholders. The UNDP Country Office will coordinate the input of the NDA Focal Point and other stakeholders to the PIR. The quality rating of the previous year’s PIR will be used to inform the preparation of the next PIR. The final project PIR along with the terminal evaluation report and corresponding management response will serve as the final project report package. An independent mid-term review process will be undertaken and the findings and responses outlined in the management response will be incorporated as recommendations for enhanced implementation during the final half of the project’s duration. The terms of reference, the review process and the final MTR report will follow the standard templates and guidance available on the UNDP Evaluation Resource Center. The final MTR report will be cleared by the UNDP Country Office and the UNDP Regional Technical Adviser, and will be approved by the Project Board. The final MTR report will be available in English. An independent terminal evaluation (TE) will take place no later than three months prior to operational closure of the project. The terms of reference, the review process and the final TE report will follow the standard templates and guidance available on the UNDP Evaluation Resource Center. The final TE report will be cleared by the UNDP Country Office and the UNDP Regional Technical Adviser, and will be approved by the Project Board. The TE report will be available in English. The UNDP Country Office will include the planned project terminal evaluation in the UNDP Country Office evaluation plan, and will upload the final terminal evaluation report in English and the management response to the public UNDP Evaluation Resource Centre (ERC) (http://erc.undp.org). Once uploaded to the ERC, the UNDP Independent Evaluation Office will undertake a quality assessment and validate the findings and ratings in the TE report, and rate the quality of the TE report. The UNDP Country Office will retain all M&E records for this project for up to seven years after project financial closure in order to support ex-post evaluations. A detailed M&E budget, monitoring plan and evaluation plan will be included in the UNDP project document. UNDP will perform monitoring and reporting throughout the reporting period in accordance with the AMA and Funded Activity Agreement (FAA). UNDP has country presence and capacity to perform such functions. In the event of any additional post-implementation obligations over and above the AMA, UNDP will discuss and agree these with the GCF Secretariat in the final year of the project and will prepare a post-implementation monitoring plan and budget for approval by the GCF Board as necessary. 'Government of Pakistan launches US$37 million UNDP-supported project to protect some 30 million people from dangerous glacial lake outburst floods and other climate change impacts', ReliefWeb, July 5 2018 - The Government of Pakistan and United Nations Development Programme (UNDP) launched a new US$37 million project today that will benefit more than 30 million people with scaled-up early warning systems, training on glacial lake outburst flood (GLOF) preparedness and response, and the creation of new protective infrastructure. Led by Pakistan’s Ministry of Climate Change, with support from UNDP and US$37 million in grant funding from the Green Climate Fund (GCF), the five-year project targets the most vulnerable rural communities in the high-altitude regions of Gilgit-Baltistan and Khyber Pakhtunkhwa, where around two in ten people live on less than US$1.90 per day. 'Efforts Being Paced Up In Pakistan To Boost Flood Resilience Of Mountain Communities', Urdu Point, May 17 2018 - After successful completion of a five-year Glacial Lake Outburst Floods (GLOF) project in 2015, the Green Climate Fund approved $36 million in funding for a second phase. The new project will scale-up early warning and establish over 250 small-scale engineering structures, including fifty weather monitoring stations in GLOF-vulnerable areas. Kiribati is a nation comprised of 33 atolls (21 inhabited) spread across a vast Pacific Ocean territory. The people of rural Kiribati are largely reliant upon a limited land base and coastal zone fisheries for both nutrition and livelihood. As the population grows and climate change advances, the security of island resources will be challenged. Already, the ecosystem integrity upon which islanders depend for climate change resilience is being eroded. This is evidenced by many factors including the deteriorating quality of near-shore fisheries, degraded lagoon health, and reduced freshwater quality. Climate change will certainly exacerbate an already very high level of vulnerability. 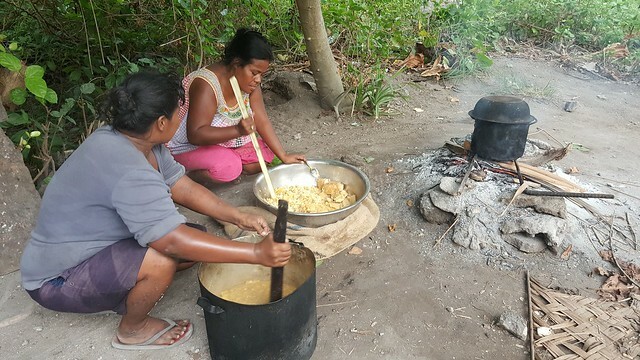 With support from the Least Developed Countries Fund, this project (2016 - 2020) will build the adaptive capacity of vulnerable Kiribati communities to ensure food security under conditions of climate change. The project objective is to build the adaptive capacity of vulnerable Kiribati communities to ensure food security under conditions of climate change. To address these challenges and reach the project’s objective, the LDCF investment will support the realization of two components and related activities. Both components will be closely aligned so that national and site-based activities are designed to build synergies, increase awareness, and generate much more informed and strategic use of natural resources so that ecosystem integrity is able to continue to function as the foundation of food security needs. Under Component One, the project will assist Kiribati to address urgent institutional capacity building needs primarily on the national level. This will include helping to set in place an improved regulatory environment, strengthened institutional planning and policy frameworks, and generation of data required to support informed decision-making. Under Component Two, the project will assist Kiribati to address climate change vulnerabilities by implementing and demonstrating community-based adaptation measures. The project will work on a select number of atolls to set in place models for land and lagoon resources management that is predicated upon informed planning and management processes. The general awareness of rural communities regarding fisheries management and climate change impacts will be increased. Community-based monitoring systems will be established. This will be used to inform decision-making, serve as an early warning system for climate change impacts, and be linked to island-wide vulnerability assessments. The monitoring system will linked to national level programming so that national level decision-making benefits from more broad-based information sources. The project will support the generation, adoption, and implementation of model council by-laws designed to be ecosystem inclusive and enhance ecosystem integrity. 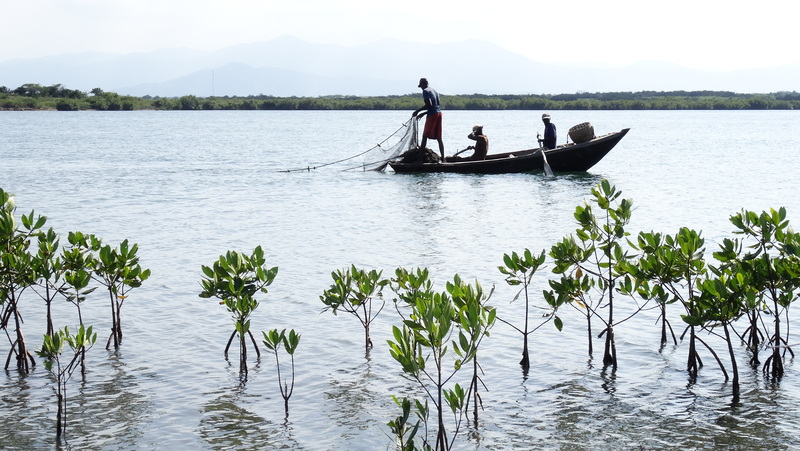 This will include model regulations for the management of fisheries, including permit and reporting mechanisms for both subsistence, commercial and tourism use of lagoon resources. The project will work with extension officers responsible for both agriculture and fisheries resources. This will include building the capacities of officers, responsible government agencies, island councils, and rural stakeholders through formal training programs utilizing fisheries field schools. Model programs for more sustainable and climate resilient practices will be tested, assessed, and ready for national replication. All project activity will target the reduction of food security issues by setting in place capacities required for local communities to maintain and enhance ecosystem integrity. By project close, Kiribati should have operational models showing that food security, ecosystem integrity and climate change resilience can be enhanced through improved management approaches. 1.1 Development of Climate Early Warning and Information System, and the capacity to use the system nationally including (i) Extended meteorological and hydrological observations by National Meteorological Service; (ii) identification of critical areas for agro-ecological, hydrological and coastal services in relation to livelihoods, and overlay of likely climate change impacts under modelling scenarios; (iii) development of coastal fisheries spatial database and GIS including predicted impacts of climate on species population and distribution; and (iv) Use of state radio and TV for dissemination of climate risk information, seasonal forecasts related to food production, and warning of extreme events. 1.2 National policy and planning framework and capacities emplaced to integrate decision making tools to increase adaptation to changed climatic conditions and preparedness for extreme events, and to deploy funds and human resources as needed, including: (i) Training of officials and community groups in the Tarawa Atoll and seven main outer islands to use climate risk information to undertake vulnerability assessments, integrated land/ marine resource-use planning taking into account climate risks, development of management framework for inshore/lagoonal ecosystems under changing cliimate, prioritization of adaptation actions for fisheries and food security; and (iii) Review and amendment of fisheries legislation and guidelines to implement measures that enhance resilience to climate impacts, including draft community protocols or by-laws for community-sanctioned set-asides to protect refugia and recruitment areas. 'Developing the capacity of Kiribati's future leaders', October 22 2018. Under the LDCF-funded project enhancing food security in the face of climate change, forty staff from across seven Kiribati Ministries took part in communications training in the capital, Tarawa. The training – facilitated by regional specialists from the UN Development Programme (Ms Kate Jean Smith and Ms Merana Kitione) – is the first in a series aimed at developing a more strategic approach to reaching communities and conducting national and global advocacy under the food security project. Participants from the Ministry of Internal Affairs (MIA), Ministry of Tourism (MICTTD), Ministry of Environment, Lands and Agricultural Development (MELAD), Ministry of Fisheries (MFMRD), Ministry of Commerce (MCIC), Ministry of Education (ME), and the MET office (OB) participated. Read more. For more local news releases, please also refer to 'Reports and Publications' tab. The joint UNDP-FAO Integrating Agriculture in National Adaptation Plans (NAP-Ag) Programme supports partner countries to identify and integrate climate adaptation measures for the agricultural sectors into relevant national planning and budgeting processes. The programme is funded by the German Federal Ministry for the Environment, Nature Conservation and Nuclear Safety (BMU), through its International Climate Initiative (IKI). Zipora Otieno is working for the United Nations as the National Coordinator of the "Integrating Agriculture into National Adaptation Plans" Programme in her home country, Kenya. Her personal story is a special feature in the upcoming massive open online course on National Adaptation Plans: Building Climate Resilience in Agriculture (NAP-Ag MOOC). access to international climate finance sources, such as Global Environment Facility and the Green Climate Fund. While the focus of the programme is mainly on the agricultural sector (including fisheries and forestry), lessons learned can be used by other sectors interested in integrating adaptation needs into national planning and budgeting. The objective of the Programme is to support countries to integrate climate change concerns as they affect agriculture sector-based livelihoods into relevant national and sectoral planning and budgeting processes. (I) Technical capacity and institutions on NAPs strengthened: Capacities of policy and technical staff in key ministries including Agriculture, Environment, Planning, and Finance as well as key institutions in local government will be strengthened to take climate change risks and opportunities for the Agriculture sector into account in planning and budgeting processes. 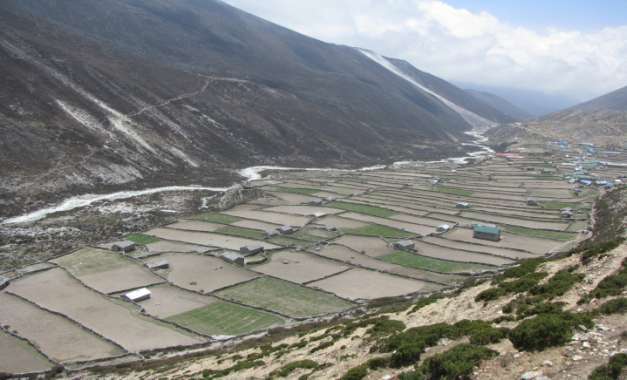 Existing methods and tools are employed for officers to a) understand adaptation options and implications of climate change in the agriculture sector; b) use data and tools for climate risk management-related decision-making processes at the sector level; and c) incorporate key priorities for climate change risk management within existing planning and budgeting processes at the national and sub-national levels. (II) Integrated roadmaps for NAPs developed: Processes for the formulation of NAPs that address priorities of the agriculture sector will be defined and institutionalized. Each country will develop, in the context of their NAP process, a roadmap for incorporating climate change risks management practices in the planning and budgeting process of the agriculture sector over the medium and long term. (III) Evidence-based results for NAPs improved: An impact assessment framework will be developed for the agriculture sector that will generate evidence-based results of adaptation options. This evidence base will be critical for national adaptation planning. Quasi-experimental design principles will be used in the impact evaluation framework. The results from the application of the framework will serve as input into policy dialogues on national adaptation planning and monitoring, tracking and reporting on adaptation at the national level. (IV) Advocacy and knowledge-sharing on NAPs promoted: The sharing of lessons and best practices between countries for integrating climate change risks and adaptation measures into sectoral and national development plans will be facilitated. North-south, south-south, and triangular exchanges between countries will be convened to share and compile lessons learned on climate change adaptation planning and budgeting for the agriculture sector, and including their relevance for ecosystems-based adaptation and other emerging issues. The project governance structure for each target country will be driven by country-specific needs for advancing agriculture sector priorities for planning and budgeting for adaptation. A technical team comprising of representatives of the Ministries of Agriculture, Environment/UNFCCC Focal Points, and programme team members from UNDP and FAO, will ensure the delivery of outputs according to an agreed-to workplan that meets the needs of target countries. UNDP and FAO will support the Programme through its network of specialised technical staff. UNDP staff working on Sustainable Development Pathways, Climate Change and Disaster Risk Reduction, and Governance, as well as the FAO technical department on Agriculture and Investment, will be directly involved in supporting countries. Additional specialized technical experts will be utilized to support countries with their capacity building needs. The Programme aims to establish an international network of institutions and organizations specialising in the Agriculture sector to support countries on designing and implementing NAPs and to leverage the results to a larger community of practice. From the beginning and no later than after the first year into programme implementation, activities will be conducted to engage a wider group of donors to be able to scale up NAP activities. Countries themselves will take a strong role in this advocacy work by providing evidence of policy change, planning results and overall impact. This will create country ownership, update existing methodological approaches, and amplify policy and planning practices by partners and in countries. 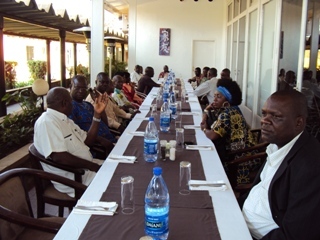 A Steering Committee comprised of representatives from the BMUB, UNDP, FAO, Target Countries, and others (e.g. UNFCCC Adaptation Committee, Least Developed Countries Expert Group) will be formed to review the progress and annual benchmarks achieved. Additional partners and donors will be integrated into the governing structure of the Programme where necessary. The Climate Change Adaptation Facility (CCAF), established by Canada in partnership with UNDP, aims to strengthen climate-resilient approaches to agriculture and water management, with an emphasis on gender-sensitive approaches. 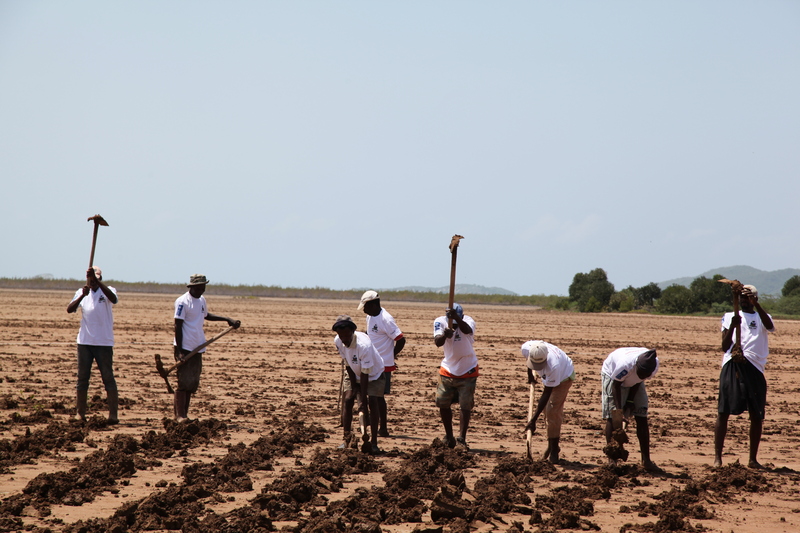 This facility incorporates national projects in Cambodia, Cabo Verde, Haiti, Mali, Niger, and Sudan, that scale up or extend projects previously supported by the Global Environment Facility’s Least Developed Countries Fund (GEF/LDCF). In addition, a global component of the CCAF promotes south-south cooperation and enhance understanding about initiatives that address adaptation, especially the gender dimensions. The global Facility collects and analyzes information, experiences, and lessons learned emanating from the six national projects to produce and disseminate knowledge that can be shared between the countries and usefully applied in other contexts. The CCAF also helps to broadly inform climate and sustainable development policies at the local, national and global levels, while promoting global exchange of information, experiences, and lessons learned. Click on the country name below to find out more about each national project. La Facilité d’adaptation aux changements climatiques Canada/PNUD œuvre pour renforcer la sécurité alimentaire et la gestion de l’eau dans le contexte des changements climatiques. Elle soutient des initiatives d’adaptation dans six pays en développement: le Cap-Vert, le Cambodge, Haïti, le Mali, le Niger et le Soudan. Elle encourage les échanges, tout en favorisant la diffusion des stratégies innovantes ainsi que la transposition à plus grande échelle des initiatives concluantes. This 5 minute video gives an introduction to the Climate Change Adaptation Facility (CCAF). Established by Canada in partnership with UNDP, the facility aims to strengthen climate-resilient approaches to agriculture and water management, with an emphasis on gender-sensitive approaches. The CCAF facility incorporates national projects in Cambodia, Cabo Verde, Haiti, Mali, Niger, and Sudan, that scale up or extend projects previously supported by the Global Environment Facility’s Least Developed Countries Fund. Le Fonds encourage l'échange et l'interaction entre ces pays et régions. Pour partager leurs approches novatrices et expériences réussies. Réunir connaissances et expériences est la seule façon de relever le défi du changement climatique. El Fondo de Adaptación al Cambio Climático PNUD-Canadá apoya seis países para prepararse y hacer frente a los impactos del cambio climático en la vida y los medios de subsistencia. La iniciativa promueve el intercambio y la interacción entre los países y regiones. Para compartir enfoques innovadores y ampliar las estrategias exitosas. Reuniendo a una diversidad de conocimientos y experiencias es la única forma de hacer frente al desafío del cambio climático. This short trailer gives an introduction to the Climate Change Adaptation Facility (CCAF). Established by Canada in partnership with UNDP, the facility aims to strengthen climate-resilient approaches to agriculture and water management, with an emphasis on gender-sensitive approaches. The CCAF facility incorporates national projects in Cambodia, Cape Verde, Haiti, Mali, Niger, and Sudan, that scale up or extend projects previously supported by the Global Environment Facility’s Least Developed Countries Fund. 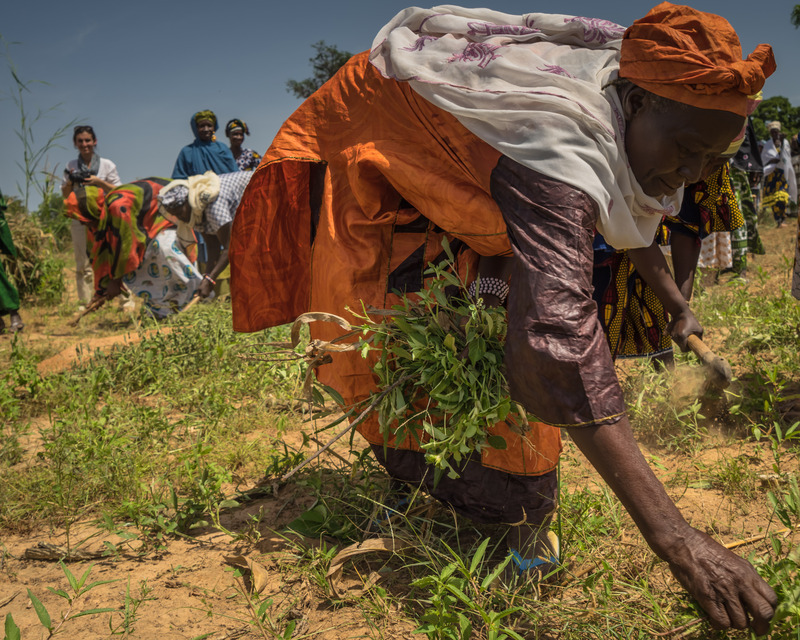 This photostory illustrates activities being undertaken and results achieved under a Canada-funded climate change adaptation project in Mali. This video provides an illustration and comparison of the concrete activities and results achieved to adapt to climate change in Cambodia and Sudan. While working in different contexts, both countries are working to address similar challenges related to food security and water management through gender-sensitive approaches. These projects are implemented under the Canada-UNDP Climate Change Adaptation Facility- supported by the Global Environment Facility's Least Developed Countries Fund and the Government of Canada. This video illustrates specific activities and impressive results emerging from the climate change adptation project being implemented in Sudan. 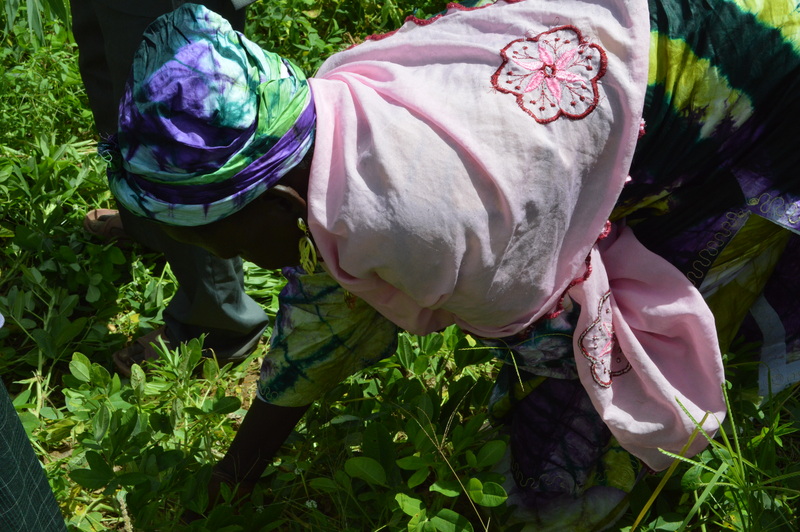 Focusing primarily on the State of North Kordofan, resilient agricultural and water management practice are being introduced to address food security and water scarcity issues exacerbated by climate change. This work is part of a project supported by the Global Environment Fund's Least Developed Countries Fund, and the Government of Canada. 2) Other CCA projects which strengthens and informs other adaptation projects supported by UNDP and other partners by documenting and sharing lessons learned from Canada-funded projects. CCAF projects will also use lessons learned from this wider portfolio to inform implementation. 3) External Partners through communicating and sharing lessons learned from Canada-funded projects and UNDP's broader CCA portfolio with partners and donors. Outcome 3: Gender results from Canada-UNDP climate change adaptation project portfolio inform broader adaptation processes. 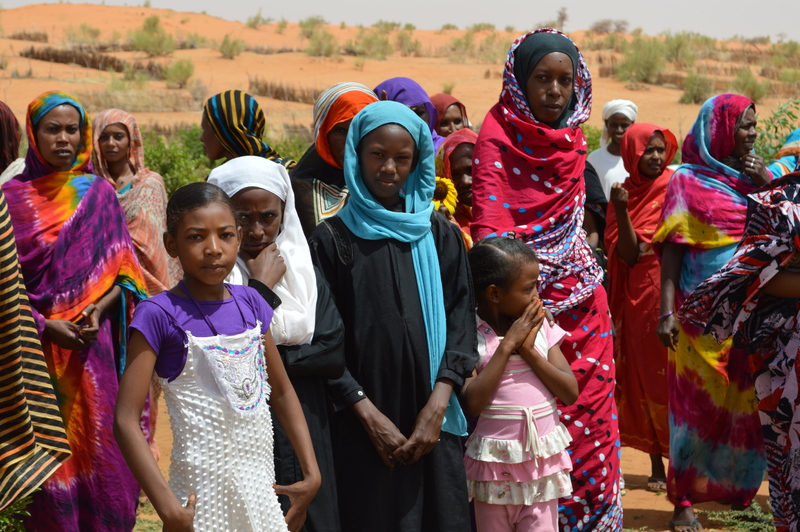 Global Exchange Workshop - Niamey, 2-5 March 2015: Bringing together a diversity of knowledge and experience is the only way to tackle the challenge of climate change. To see video interviews with workshop participants, visit the CCAF YouTube Channel. Climate change adaptation is a new and evolving area of work that has bourgeoned in the last decade, with many different measures tried, and many successes, challenges and lessons emerging. As such, it becomes increasingly important to ensure the information and knowledge arising from this vast experience is shared through exchange and interaction at all levels - within countries, across borders and between regions. This was the aim behind the Global Exchange Workshop on Adaptation for Food Security and Resilience. This Workshop, co-hosted by the Canada-UNDP Climate Change Adaptation Facility (CCAF) and the Africa Climate Adaptation Food Security (ACA) regional programme, brought together experts from eleven countries to share their experiences and lessons learn on a variety of adaptation-related issues. The CCAF was established in 2014 to promote south-south cooperation and enhance understanding about initiatives that address adaptation, with a focus on gender dimensions. This Facility focuses on six initiatives supported by Canada, all aiming to strengthen resilient approaches to agriculture and water management. It also provides broader exchange between these projects and other adaptation initiatives supported by UNDP and other partners. 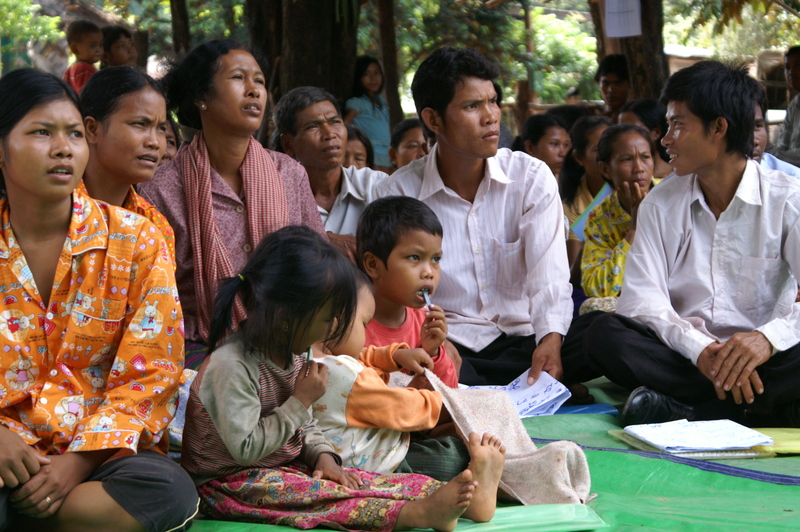 Similarly, the ACA regional programme, supported by the Government of Japan, aims to 1) improve climate information systems for informed decision-making and integrated planning approaches; and 2) test and scale up climate risk management measures including weather index insurance and community based adaptation measures, while also enhancing the capacity to access and manage climate finance. These two initiatives jointly hosted the Exchange Workshop in Niamey, Niger from 2-5 March. Measuring impact of adaptation on development outcomes. Every participating country shared at least one innovative experience from their project related to these themes, and participants discussed the various processes, challenges and success factors that would allow others to apply the same approach in their countries. The participants also visited three project sites near Niamey, where adaptation activities are being undertaken with support of the GEF and the Government of Canada. Activities observed included the introduction of new irrigation techniques and supporting women’s collectives engage with alternative income generating activities, such as gardening and livestock fattening. The participants had an opportunity to speak with the beneficiaries directly and understand their experiences and challenges. This workshop stands as the first step in establishing a community of practice around the issues of adaptation and food security. The information shared will be turned into technical briefings and comparative analyses, and the countries will continue their exchange. A full workshop report is available on the CCAF ALM website here: in English: Proceedings of Global Exchange Workshop - Niamey, 2-5 March 2015, and en Francais: Rapport de l"Atelier International d'Echanges sur l'Adaptation pour la Securite Alimentaire et la Resilience and all of the presentations and workshop materials are available on the Global Exchange Workshop Teamworks Page. For further information, please contact Jennifer Baumwoll, CCAF project coordinator at Jennifer.baumwoll@undp.org. 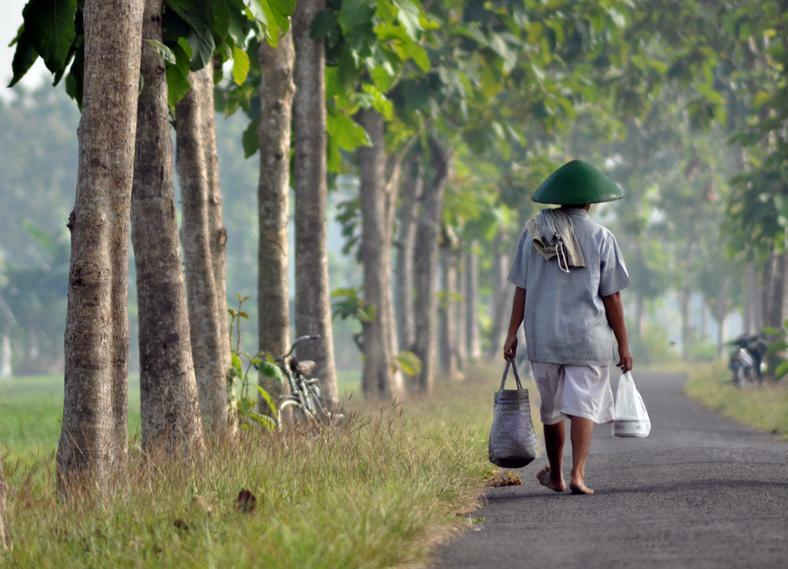 Why is it so difficult to integrate gender into climate change responses? Even with increased emphasis from global policies, donors and funding streams, gender-responsive adaptation is still challenging. Observers mention a number of hurdles such as limited resources, lack of information or deficient expertise —it seems that many practitioners lack an understanding of how to do it. The underlying issue, though, is a refusal to accept that gender-responsive adaptation is better adaptation. We must therefore shift the way that we approach it. Typical solutions to addressing gender in climate change include scattering into proposals and other documents terms like “women” and “equality”, or increasing the number of women beneficiaries in climate projects. In practice, this fails to fundamentally change any part of the underlying design or implementation of a strategy or programme, and therefore has limited impact on ensuring true gender equality. Climate change adaptation is inherently context-specific, and often based on changing behaviour. Climatic changes vary based on the location, as do the social, economic and cultural conditions which define resilience and sustainability. Therefore, when it comes to integrating gender into adaptation, there is no single solution. This is, again, why the challenge is so real. As a result this UNDP-supported, LDCF project, Enhancing capacities of rural communities to pursue climate resilient livelihood in Sao Tome and Principe, aims to strengthen the resilience of rural community livelihood options against climate change impacts in the Sao Tome districts of Caué, Me-Zochi, Principe, Lemba, Cantagalo, and Lobata (CMPLCL). Developing capacities of the key institutions of relevance to rural development and livelihoods to effectively support communities’ resilience and adaptation to climate change. This includes a training programme to provide technical capacity to develop agro-sylvo-pastoral adaptation technologies and climate resilient seeds and seedlings (Outcome 1.1); Design of a human and technical capacity development plans to convert the CATAP to a national agro-sylvo-pastoral climate change adaptation training center (Outcome 1.2); Training of 200 agricultural extension services n adaptation strategies (Outcome 1.3); Creation of districts and village level climate change platforms to facilitate dialogue and coordination for the implementation and monitoring of village and districts level annual adaptation plans (Outcome 1.4); Training of representatives of the districts and villages platforms, district governments assemblies on how to develop, implement and monitor annual adaptation plans (Outcome 1.5) and; Empowering and mobilizing community based organizations to efficiently contribute in the processes of identifying and addressing the underlying causes of vulnerability and developing adaptative practices (Outcome 1.6). The Government of Mali emphasized in the NAPA and PNCC the importance of investing on adaptation to strengthen the climate resilience of most vulnerable groups (especially women and children) at the community level. 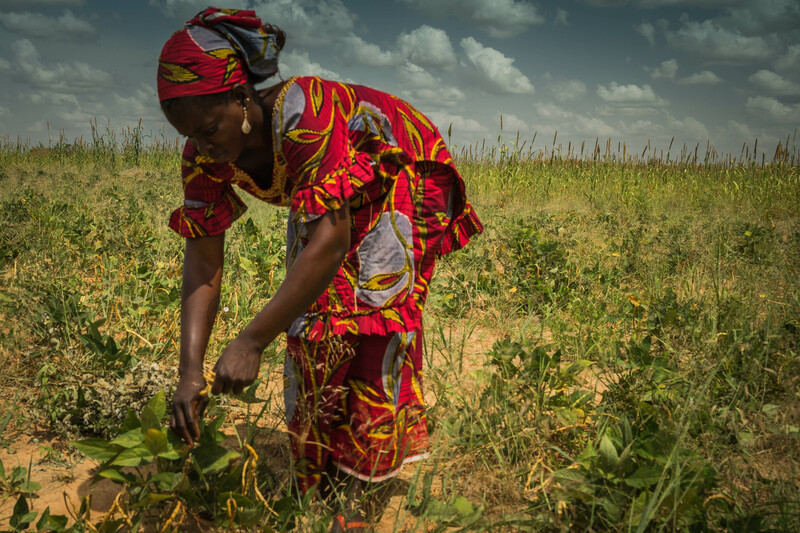 The project will focus enhancing women and producer group’s adaptive capacities to secure livelihoods production from climate impacts and increase socio-economic resilience in Malian vulnerable communes (Kayes, Koulikoro and Sikasso). The targeting of women is especially important because they are significantly involved in farming and are the main providers for the household. Women are not prominent in farmer associations and a majority lack the requisite technical skills to make the necessary adjustments – on farm, and thereby through a significant portion of the local economy – to address a changing climate. 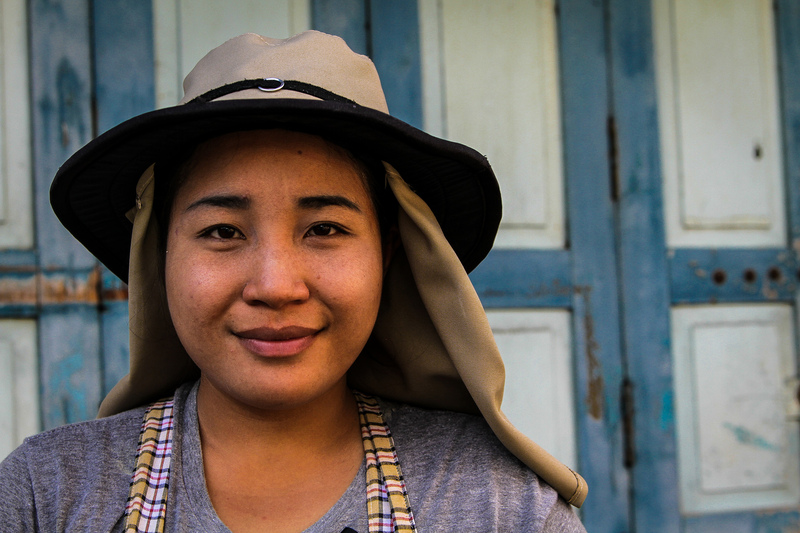 2500 households living in 10 vulnerable communes including rural producers, chronically poor and vulnerable households, with a special focus on women. Mali’s priorities in terms of development and global strategies are outlined in the Strategic Framework for Growth and Poverty Reduction (SFGPR 2012-2017) which focuses on 4 strategic axis: (i) Promoting sustainable growth and job creation; (ii) Equitable access to social services; and (iii) the consolidation of governance and structural reforms. 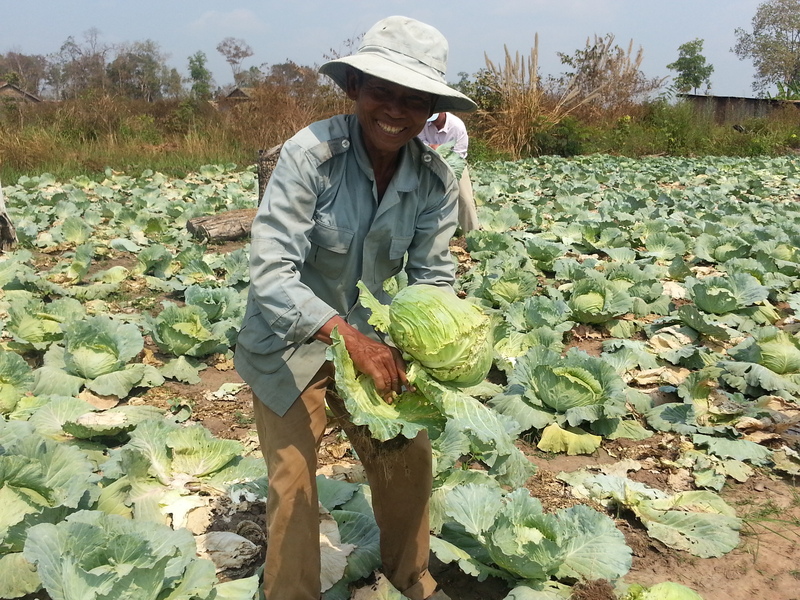 The proposed project will support economic growth of poor people in vulnerable communes by increasing the resilience of agro pastoral and fisheries production, diversifying woman incomes sources, while strengthening their capacities to respond to the increasing incidence of extreme weather events. The project will support the implentation of the “Initiative 166 Communes.” In an effort to achieve the country’s MDGs and SDGs, the 166 Communes Initiative was launched to combat food insecurity in the 166 municipalities (communes), identified as the most vulnerable to food crises. This initiative was executed as part of the National Food Security Programme (“Programme National de Sécurité Alimentaire” - PNSA) and stems from the Economic and Social Development Project (“Projet pour le Développement Economique et Sociale” – PDES) whose goal is to accelerate Mali’s development. The regions in which the 166 communes are located are: Tombouctou, Kidal, Gao, Mopti and Kayes and a few communes located in the regions of Koulikoro and Ségou. 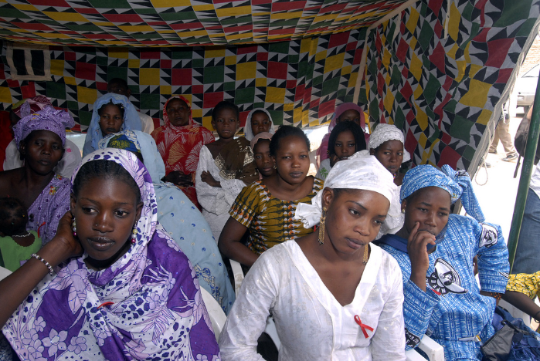 Commonalities between these communes include a lack of sufficient infrastructure required to meet the MDGs, such as health and educational centers, as well as strong rural-urban migration, leaving primarily women behind without the necessary financial and material necessities to fend for themselves and their children. The total cost of the 166 Communes Initiative is US$95 million and focuses on 8 axis: (i) Agriculture and Hunger, (ii) Education , (iii) Gender, (iv) Health, (v) Energy, (vi) Water supply and Sanitation, (vii) road and transport and (viii) Environment. 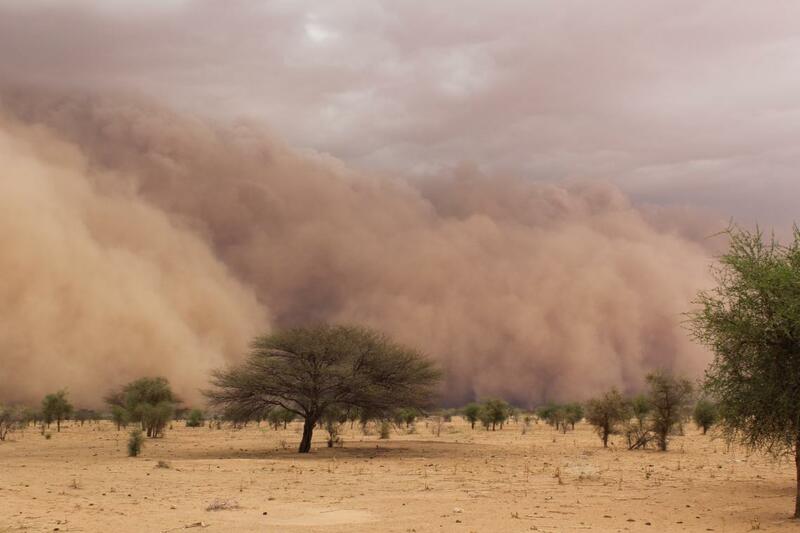 The project will support this ongoing initiative by enabling Mali to enhance adaptive capacities of vulnearble groups in the context of resilience to expected climate change pressures. Climate change will limiting factor for the development of the Initiative 166 communes (in particular results that it is seeking to achieve) is no longer going to be effective without considering climate change in local development strategies. Proposed project target communes’ (Kayes, Koulikoro and Sikasso) are highly sensitive to changes in rainfall, where most households in these regions derive over 70 percent of their income from agriculture, livestock and forestry sectors, and are therefore the most vulnerable to climate change. 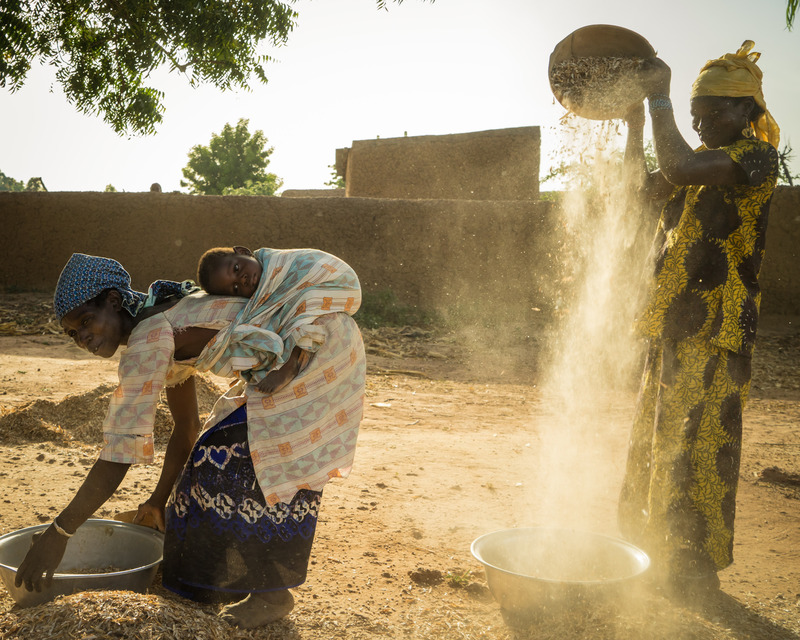 The barriers to increasing the resilience of Malian communes to climate change are related to the biophysical environment, the availability of financial resources and limited capacity of local communities to implement identified climate-resilient activities/practices across landscapes commune/wide capacity. The absence of coherence in perceptions of change and what needs to be done to manage uncertainties is a recipe for undermining resilience to climate change and adaptive capacity and therefore national efforts on human development. As climate change manifests and increasingly impacts the communities’ livelihood resources, regional efforts on poverty reduction is likely to be undermined and hamper the achievement and certainly the sustainability of MDG targets. The implementation of the project’s activities will reflect GEF monitoring and evaluation standards and procedures as well as UNDP guidelines on monitoring and evaluation of projects on adaptation policy.